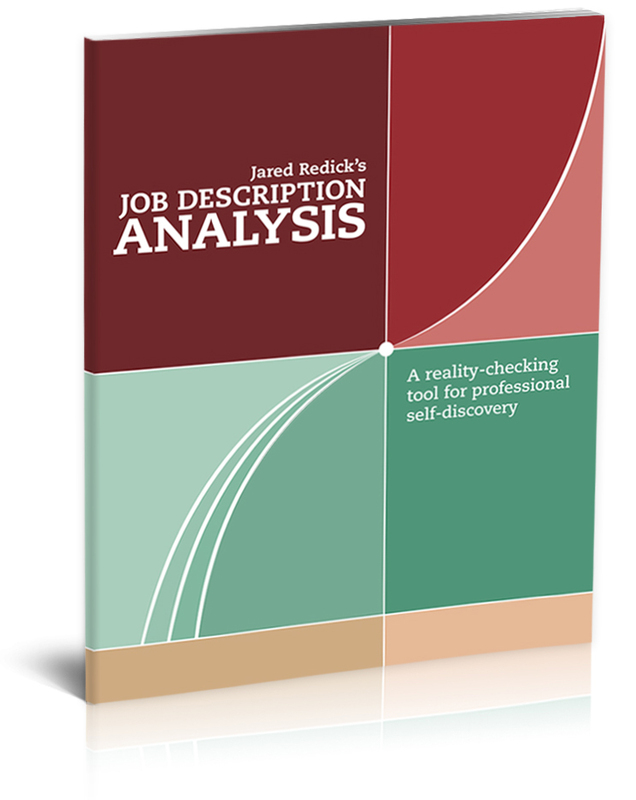 Book one or more 30-minute screen-sharing sessions with Jared Redick and/or UCLA PhD, Dana Linda to interpret your Job Description Analysis (JDA) findings. Session objectives: Identify the "slices of your career pie" that will matter to your intended audience(s), and develop a content strategy that will serve your broader job search purpose. Pre-session requirements: Upon booking your session (see below), you will be asked to upload a completed JDA. The JDA concept is delivered via my presentations slides, and purchasable as a comprehensive published version. Fair warning: plan at least one week to complete your JDA before we meet for your session(s), and be sure to email it at least 60 minutes before your session begins. Following your *first* JDA Interpretation & Content Planning Session (not subsequent sessions that you may schedule), remind me and I'll be happy to share five complementary Case Studies & Exhibits to inspire your own résumé design and hierarchy development, or to review as prep for a Résumé Design Strategy Session. This appointment type blazes by quickly, and lengthy or complex JDAs may require more than one session. Booking frequency is fully within your control, with the only limitation being The Résumé Studio's schedule and availability. We suggest waiting until each session has concluded before booking the next appointment. A UCLA PhD (Dana Linda) may shadow or lead (under my guidance) one or more sessions that you book at this reduced rate. I am training Dana to one day serve as a fully-qualified resource. If you are uncomfortable with the possibility of Dana shadowing or leading your session under my guidance, do not book this session. Instead, use this page to book a session with me at full price.